Happy Valentine’s Day! Yup, the day dedicated to romance is here. And, as you know, I love romance. After all, it’s what I write. All day long, I surround myself in stories of love. So, it’s no surprise that I love Valentine’s Day. Do you? Don’t have a Valentine? Don’t despair. There are 119 single men—never married, widowed or divorced—in their 20s for every 100 single women of the same age. But if you’re single and happy that way, you can celebrate Singles Awareness Day on February 15th. Everybody has a TBR (To Be Read) pile, right? Well, I’m no exception. I have a huge TBR stack of books. It only seems to get higher the more I write, because my free time gets more and more scarce. But wait a minute! Reading is important. Let me repeat myself: reading is important. Even as a writer–especially as a writer. You need to keep on top of what’s popular and selling. Plus, I have so many awesome friends who are authors and I always look forward to reading their books. So, I thought I’d share a few at the top of my list, in no particular order. Some of them aren’t even out yet, but you can be sure, I’ve preordered them! The harvest moon has arrived and homicide detective Noah Daugherty is drawn into one final, harrowing case when the search for clues leads him to the middle of a killing field. Desperate, he enlists the help of a woman from his past. Together they discover a serial killer, hell bent on reaping his own depraved version of social sanitation. 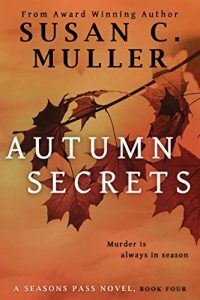 Can Noah put a stop to the killing, or will he be buried along with autumn’s secrets? As one of the Embraced―one born with magical powers―the beautiful, innocent Luciana escaped certain death after her father hid her away on the Isle of Moon. Now, to save her father, she has to marry a man feared throughout the land. Five men emerge from the remnants of destruction with extraordinary new powers. They are humankind’s last hope, but they cannot survive this devastated world alone. When Dr. Elliott Drake emerges from a cave after traveling fifty years through time, the world as he knew it in 2010 is gone. But Elliott has acquired an extraordinary ability–the power to heal. Jade Kapiza, who was once imprisoned by the immortal beings, has been in hiding for years. She can trust no one…but when Elliott comes into her life, he pushes at her defenses and begins to tear down the walls she’s built so carefully. Yet the mysterious doctor seems to have secrets of his own. Can Jade trust Elliott with her heart, even as they risk their lives to save a band of innocents? And can Elliott find a new place for himself–a home–in this new, ravaged world? 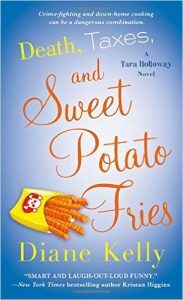 But this time IRS Special Agent Tara Holloway is in over her head―and challenging every dietary law in the book. . . 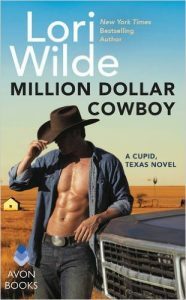 The illegitimate son of a Texas ranching dynasty, Ridge Lockhart left home ten years ago with one goal: to become more successful than the father who never accepted him. Mission accomplished, but now he’s back at the Silver Feather Ranch for a wedding—three days of best man duty until he can hightail it out. Then he spies Kaia Alzate, and suddenly leaving isn’t quite so appealing. Those are just a few books I can’t wait to read. I think I’ll start reading one tonight! What books are in your TBR pile, and which ones are you most looking forward to reading? Do you have any recommendations for an author or book I should read? The winner of last week’s giveaway is Brandi. Congratulations! Brandi, you can pick any one of my books and I’ll send you an ebook to you. So email me at christie@christie-craig.com and be sure to tell me which book and if you want the NOOK or Kindle version. You should really check out books by Ann Charles. I think you would love her sarcasm and humor. They are definitely a must read! I love all of Nora Roberts’ books! 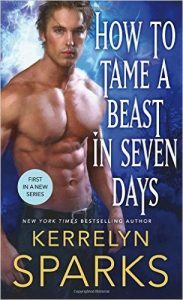 I just finished Carian Cole’s A&E series of books. I am loving her right now and since I have now read all of hers I have a book hangover!